AIPMT is a tough medical entrance exam. 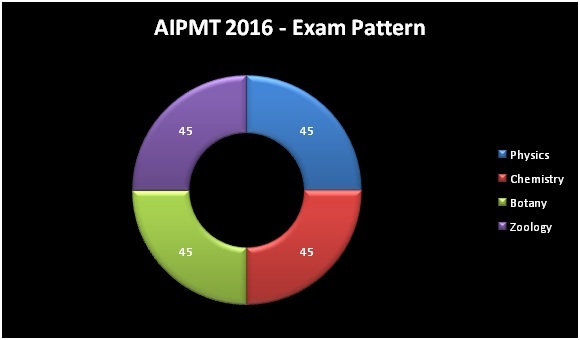 AIPMT 2016 is scheduled to be held in May and with just a month away, formulating a revision plan is a prerequisite. After all, a medical aspirant- The future doctor has to systematically constantly practice and prepare for their future with perseverance, hard work and dedication. Revision is best left for the last month preparation. Below are the fewrevision tips for AIPMT 2016, which will help you to clear the medical entrance exam with ease. This will help you to focus better and gives you an expanse to improve your skills. Text Books Are to Your Rescue! With market flooded with thousands of books, it is a tough choice to choose the right study material. Always refer to NCERT textbooks of CBSE class 11 and CBSE class 12. NCERT books cover the basics and AIPMT covers the syllabus from these NCERT Textbooks only. Apart from these, a few standard textbooks can be read for a deeper and complete understanding of a topic. It is essential to know the syllabus for AIPMT. Clarity on syllabus makes it easy to prepare for AIPMT effectively and efficiently. A simple glance at the syllabus can help you to know what has to be studied. It is very important to know the exam pattern as the questions asked are never direct. Physics and Chemistry are such subjects which require regular practice of numerical problems. The AIPMT 2016 consists of 4 sections – Physics, Chemistry, Botany and Zoology. Each section contains 45 questions and each question carries 4 marks and for a wrong answer, 1 mark would be debited from the total score. Previous years’ papers and sample papers are easily available on online portals, which can be downloaded and solved. Mock tests are time bound which gives you a feeling of giving a real exam. Helps you to increase speed and accuracy. An aspirant can know one’s strength and weakness. Though it is very tough to classify the topics as important, there are a few sections which need your full focus and dedication. While preparing for AIPMT 2016, maintain charts and notes which come in handy during revision. Jot down everything which you feel is important. Inculcate various study techniques and short cut methods to understand tough concepts easily. There are various study techniques which can be applied while preparing for a tough competitive exam. By infusing these techniques in your everyday study helps to reduce examination stress and also broadens your thinking and understanding capability. Mnemonic technique – As kids we have been taught of VIBGYOR (which constitutes the 7 colors of a rainbow). This is a classic example of mnemonic technique, where the first letters are combined to form a word for easy remembrance. Even counting the number of days in a month on knuckles is another example of Mnemonic technique. It depends on a student on how to use this technique. Pomodoro Technique–This is another effective study technique which involves studying for 25 minutes, followed by a break for 5 minutes and again start the cycle with 25 minutes of studies and 5 minutes of break. This ensures that you do not over stuff your brain by over reading. The information gets processed. Biology comprises 50% of AIPMT exam. Hence it is important to focus more on Biology. Mind mapping is an effective method to study Biology. It is a method which involves processing and organizing information. All mind maps have a general pattern consisting of a central idea which branches out to connected topics. By following this method, you can train your brain to form associations and the information retention is better. By following these tips, the process of revision is made easier and it helps in better understanding.